A destroyed transformer and burnt crossarm sit at the side of the road. A burnt transformer and pole damaged during the Sand Fire. A broken crossarm and downed wires are visible beside the road. A power pole leans precarioustly along the side of the road. Access to the affected areas in Santa Clarita is limited as the fire continues to burn. 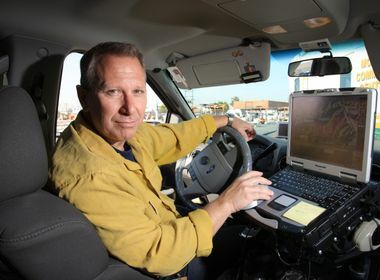 UPDATED, July 26 at 6:00 p.m.
As the bright orange flames and heavy grey smoke of the Sand Fire continues to blow over Los Angeles County near Santa Clarita, Southern California Edison crews were able to enter areas deemed safe on Tuesday to start assessing the damage. Damage Assessment Teams are the crews that are first deployed by SCE during restoration efforts after a wildfire. In trucks and sometimes on foot, the teams inspect the destroyed or damaged equipment and map out how the crews will start safely making repairs. With only 25 percent containment, the fast-moving fire has already consumed more than 37,000 acres. Currently, there are 77 customers without power. Using GIS data and circuit maps, the teams can determine the electrical layout and assess the equipment that needs to be replaced. They will also determine the manpower needed to make the repairs. The Damage Assessment Teams are estimating that 270 poles have been damaged within 85 percent of the burned area. The number of damaged poles is expected to increase once the assessments are completed. In preparation, the company has set up three staging yards and has been moving necessary equipment and supplies closer to the damaged areas. 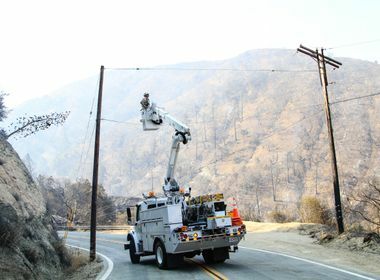 In coordination with the first responders on scene, 17 five-man SCE crews will start entering the damaged areas Wednesday morning to begin making repairs. The crews will face difficult terrain and high heat, in the midst of an ongoing fire, to replace poles, crossarms and restring wire. They will also need to watch out for ash pots, ground that looks normal but is actually a pile of hot ash from the fires. SCE Air Operations will also be deployed to the area, likely on Thursday, to help in the repair efforts. If you are without electrical service in your home or business, leave a light switch in the “on” position to serve as a signal that electrical service has been restored in your area. 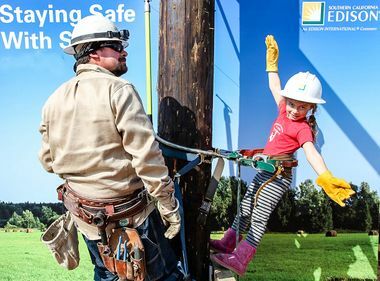 This will help limit stress on the electrical system when SCE restores service.